Great UHF reception is accomplished by precise director spacing with efficient corner reflector system. Weak UHF signals are captured and reflected with minimal loss to the driven element for increased uniform gain on all UHF frequencies on channels 14-69. 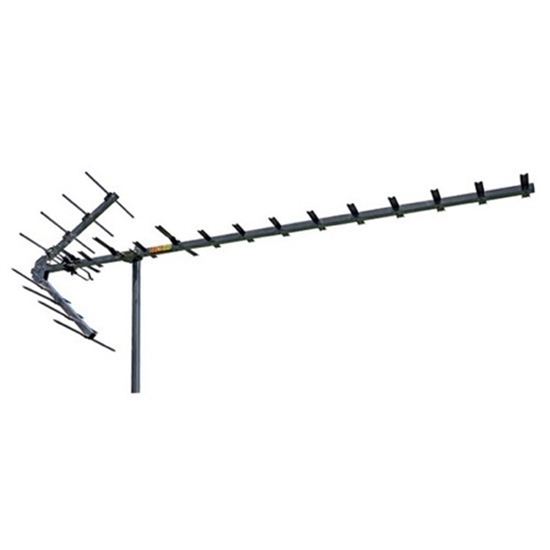 This antenna features a built-in 300 ohm UHF coupling block. FREE 50 FT RG6 Coaxial Cable Included!